Palmetto living is a state of mind. It’s also a specific place of beauty, a place where you can plant your sandy feet and rest your weary head. Here is one such ourbeachhome real estate creation, lovingly designed to reflect the sweet life that is the Isle of Palms. Each ourbeachhome is like a well-crafted boat. Filled with warm, hand-oiled wood finishes… navigational instruments & maps, crisp, light colors, unique Lowcountry touches, folding in influences from travels around the globe. A delicate blend of decors… classic Carolina, beach chic, cool Scandinavian style, all coming together to bring a sense of timelessness to the South. Classic and sophisticated… functional and fun. Ready for real life. 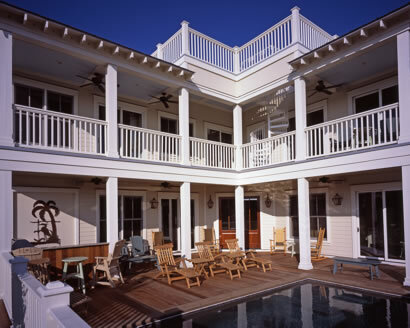 Ourbeachhome… creating homes like this one on Isle of Palms, where you are the captain of the ship. And she is ready and waiting for you to come take the helm.